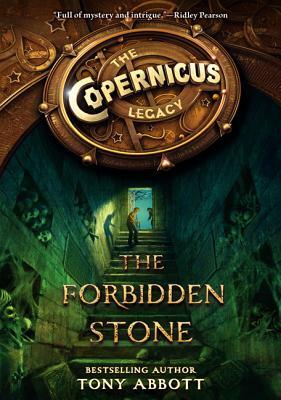 Bestselling author Tony Abbott's epic new middle grade series, the Copernicus Legacy, begins with The Forbidden Stone, a thrilling adventure packed with puzzles, intrigue, and action. Fans of Rick Riordan and Ridley Pearson will love this first book in an exciting series that takes the reader all over the globe in a race to find pieces of a mysterious hidden past—before it's too late. Wade, Lily, Darrell, and Becca fly from Texas to Germany for the funeral of an old family friend. But instead of just paying their respects, they wind up on a dangerous, mind-blowing quest to unlock an ancient, guarded secret that could destroy the fate of the world. Tony Abbott is the author of over a hundred books for young readers, including the bestseling series the Secrets of Droon and the Copernicus Legacy and the novels Firegirl and The Summer of Owen Todd. Tony has worked in libraries, in bookstores, and in a publishing company and has taught creative writing. He has two grown daughters and lives in Connecticut with his wife and two dogs. You can visit him online at www.tonyabottbooks.com.